*NHL Draft Lottery Order determined by team points per game and simulation ran on Tankathon; visit this link to see how the NHL lottery is to be ran in 2016. Were he born two days earlier, Auston “Powers” would have given Jack Eichel a run for his money for the 2nd overall pick in the 2015 Draft. 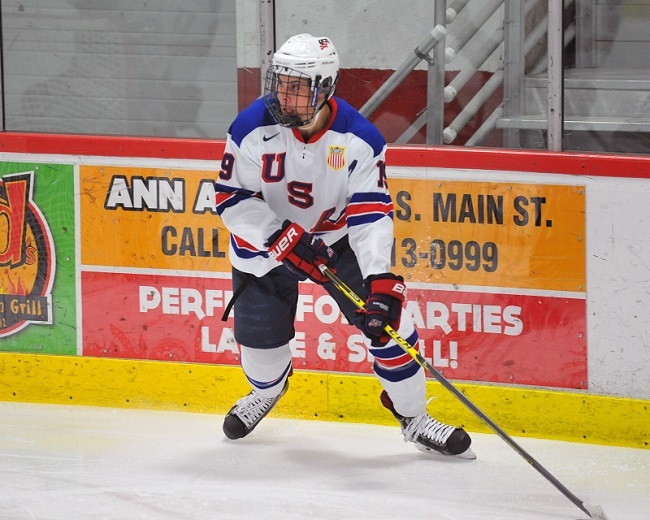 Team USA and is eventual NHL team hopeful he develops into an American version of Jonathan Toews. Son of Keith is a chip off the old block and is currently torching the OHL. Tantalizing combination of size, skating ability, skill and hockey smarts. Size. Shot. Skating. A offensive power forward’s hat trick of goodness. 23 in just 27 games played thus far. Alex’s brother is indeed Maple Leafs prospect William Nylander. Alexander Nylander (William's brother) of the @OHLSteelheads leads all #OHL rookies with 39 pts in 28 games. Second place has 20 pts. The son of veteran NHL blueliner Jeff Brown is a mammoth 6’6” centre who can skate and possesses enticing skillset. Gifted Finnish forward can certainly finish, but does possess some red flags. ISS has the relentless centreman as a top 5 pick. 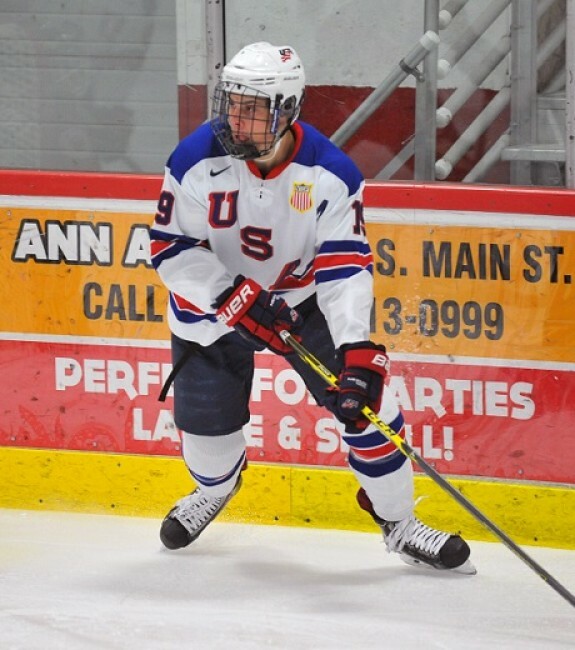 Dubois possesses desirable size, outstanding compete level, and is simply a well-rounded forward overall. American Sniper, the hockey prospect. Slightly undersized centreman is an adaptive, explosive offensive catalyst with a marksman shot. Poised rear guard who plays strong defensively & makes smart decisions with the puck. Talented two-way Russian defender surging up the draft rankings. Super-poised blueliner is an apprentice to Philadelphia Flyers’ first rounder Travis Sanheim, and himself looks more than capable of running a NHL powerplay QB. Undersized dynamic forward is lighting up the QMJHL. Tremendous speed and hockey IQ. One of the best names of this draft class. Undersized, puck-moving, two-way defender makes up for size concerns with his high hockey IQ and the way he processes the game. Scoring at over 2 points-per-game clip in OHL. If he was 5’11’’, we’re talking top 5 pick. Sublime skating, savvy blueliner is undersized, but another with the ability to overcome. Has been highly touted since he was a 14-year-old. His game is really seeming to come together after some difficulties, and could be a riser as the season progresses. Don’t let the stat line fool you when it comes to this smart, two-way defender. Mature, confident two-way defenseman with good hockey instincts. One of the youngest players in Sweden Elitserien league – tremendous hockey IQ. Boston receives San Jose’s 2016 1sts round pick and Sean Kuraly for Martin Jones. Toronto receives Pittsburgh’s 2016 1st round pick (conditional – lottery protected) and a 3rd round pick, Kasperi Kapanen, Scott Harrington and Nick Spaling for Phil Kessel, Tyler Biggs, Tim Exiron and Pittsburgh’s 2016 2nd round pick (previously acquired, and is conditional). Carolina receives Los Angeles’s 2016 1st round pick and Roland McKeown for Andrej Sekera. Arizona receives the NY Rangers 2016 1st round pick (lottery protected), a 2015 2nd round pick, Anthony Duclair, and John Moore for Keith Yandle (50 percent of his salary retained by the Coyotes), Chris Summers and a 2016 4th round pick.